Dikti cave is the main attraction of the Lasithi Plateau. In ancient Greek mythology this i the second mosst important cave (the most important one being Ida, where Zeus was born) of Crete. In order to protect Zeus from his father Chronos, who wanted to kill him, the young Zeus was hidden in the Dikti cave. Entrance is around €5. The cave is full of imposing stalactites and definitely worth a visit if you’re in the area. There are plenty of self-appointed tourist guides lurking around the cave, who will tell you all about the cave at inflated prices. There’s a big information sign in the car park in any case, and the cave is a fairly easy 15 minute trek. In summer there are two buses a day from Iraklio through the patchwork-quilt scenery of Lasithi, towards the Dikti cave. It’s 1000m above sea level here, so often much cooler than the coastal areas, which makes it a pleasant retreat in the summer. If you come by car you also have to pay about €2 for parking. A good, newly constructed road connects the mountain town of Anogia and the Ida Cave. Anogia itself is halfway between Iraklio and Rethymno, but inland and up the mountains. There are no public buses to the Ida cave. In winter the road is often closed due to snow. There’s a hotel and Crete’s only ski-lift up (closed years ago) here, and it’s probably the most remote area of Crete you can reach by car. You’ll see a lot of abandoned shepherd’s huts and thousands of sheep. In spring the area is a flooded with thousands of flowers and colours. The cave is famous for being where Zeus was born, and though this fact does not make the cave any more interesting, the area itself is worth a visit for its natural beauty and character! The last few kilometers to the cave you have to drive on a dirt road or hike. To get to the village of Melidoni, drive along the old road from Rethymno to Iraklio, turning left at the small town of Perama. Perama is the regional centre, and it’s worth spending a couple of hours here to soak up the atmosphere of a small Cretan town that has been left untouched by tourism. When you get to Melidoni, you’ll find the cave, another 2km away, signposted. Since a few years you have to pay an entrance fee. 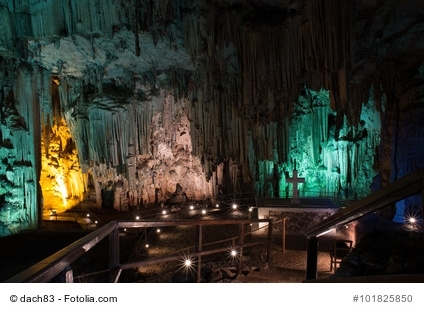 In the year 2019 the entrance to the Melidoni-Cave will be about €4. 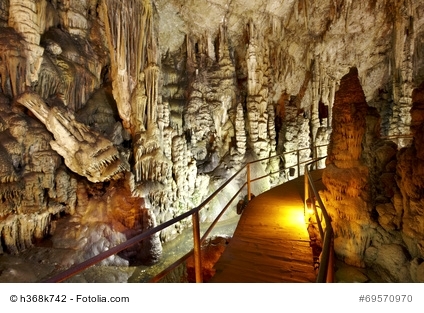 The cave comprises several chambers with impressive stalactites, but you can only visit the main chamber. There are stairs and a path leading to the cave. Melidoni cave is famous across Crete due to its history: in 1824 all 300 inhabitants of Melidoni hid there, trying to flee the wrath of the Turkish army. However, the Turkish army soon found them, and all 300 died from asphyxiation when the army lit a big fire at the cave’s entrance. In the area at the sea are the two nice holiday villages Panormo Crete and Bali Crete. More Information about the Meldoni Cave you can find on this link.